Ater a year, Jack is still struggling to come to terms with his brother’s death. His best friend, Iris (played by Blunt), insists that he has a ‘retreat’ at her dad’s island cabin. But when he gets there Jack finds Iris’ sister, Hannah, also trying to get some time alone. As they are both emotionally weak, Jack and Hannah sleep together. When Iris joins them, everything becomes complicated. This is an interesting little film. There’s not much laugh-out-loud humour, but it is quite quirky nonetheless. 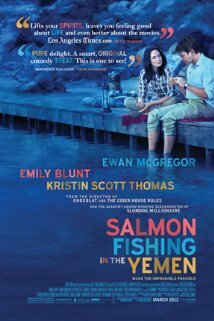 We haven’t seen Blunt in a rom com for a while (The Five Year Engagement, Salmon Fishing in the Yemen), and she’s as enchanting as usual. It has a very contained and focussed script with just enough room for three. This is not a ‘block buster’ film by any means, but it’s gentle and easy on the eyes. Look out for the ending. The wealthy Sheikh Muhammed dreams up a project of bringing salmon fishing to the Yemen. His wealth adviser in the UK, Harriet, contacts Dr Alfred Jones of the UK Fisheries Department for his expert help and advice. Fred is aghast at such an implausible idea. But his objections are over-ruled by the Prime Minister’s press secretary who is looking for a good news story in the Middle East during the war. As the project develops, so does the relationship between Harriet and Fred. Harriet’s boyfriend is lost in action whilst fighting in Afghanistan, and Fred and his wife are drifting apart. They become firm friends and support each other in and out of the project. The film isn’t a typical rom com – more of a romantic drama. But it is charmingly funny and there is a definite ‘boy meets girl’ theme. Kirstin Scott Thomas does an excellent job at playing the PM’s hard nosed press secretary – in fact she’s fantastic. Blunt is gorgeous and McGregor adorable. 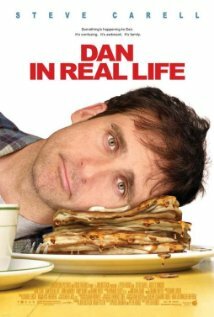 There are tears to be shed in places, but it is also an uplifting movie and one I recommend. Tom proposes to Violet after they have been going out together for a year. A lot of things, however, get in the way of their upcoming nuptials – moving to Michigan for Violet’s career, Tom being unhappy in Michigan, Tom’s career being on hold etc. They think they need everything to be perfect in order to get married, therefore, the engagement just goes on and on and there are several attempts to have a wedding. Will they get over themselves and get it together in the end, or are they not actually meant to be together? 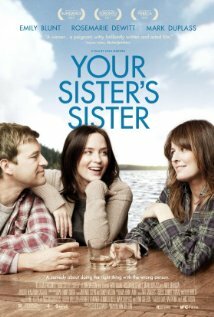 If you’ve read any of my other reviews you’ll know that I love Jason Segel, nearly as much as I love Emily Blunt. So I was very excited to see them together in this film. Unfortunately I was annoyed within the first five minutes. Not sure why – maybe it was the stereotypes, the blah blah wedding and marriage crap (every little girl’s dream – come on people, it’s the 21st Century! ), or the fact that I was waiting for more humour too quickly. But hang in there, the film gets better as it goes along – you have to wait for the humour to kick in. And you think you know where it’s going, but if you’re patient, it takes a different path. Overall, I was a little disappointed. The humour didn’t roll as smoothly as it should have, and I didn’t laugh enough (perhaps it would be better second time around). Thank goodness for supporting actors Chris Parnell and Mindy Kaling. So it doesn’t stack up to Bridesmaids, but it’s definitely still worth a watch.